Since I watched Rajan Datur’s video coverage of the WTTC Global Summit on Fastrack in Abu Dhabi last month (see last post), I’ve been unable to silence a song from my childhood that replays in my head – Danny Kaye’s musical rendition of the famous tale of Hans Christian Andersen: the Emperor Who Wore No Clothes. If you have children or grandchildren with any innocence left check out the old but enduring charming film. Click the image, start 1.10 mins in and let the message soak in! I had taken a pause from blogging for four months for two reasons – to complete a project and to turn off the chatter of an over informed brain. Pauses clarify. While in my first post of 2013 I expressed disappointment with the position taken by the Summit’s leaders, allocation of blame wasn’t my intent. At this incredibly portentous time in human history, we’re each and all caught up in a web of denial that has become the sticky stuff that binds our relationships with each other and the natural world. At best we are entranced; at worst addicted. Our neurological development has not kept pace with our technical prowess and, like the King in Andersen’s story, our hubris has blinded and our constant “busyness” has deafened us to the wisdom of our subconscious. In Hans Christian Andersen’s tale it took an innocent child with an unbroken heart and senses fresh and intact to see and speak the truth. There’s been considerable research as to why humanity is acting so slowly in response to the converging change forces pushing us towards the cliff’s edge. The reptilian parts of our brains are wired to sense and respond to the personal threat that our senses register. The newer, frontal lobe that is the source of our technical brilliance and feeds off endless analysis and discussion, has not yet evolved similar response mechanisms. Furthermore, our need to belong and be accepted is more associated with this growing part of our neurological development. We’re like movie goers on a Friday night who’ve settled down into a comfy sofa with popcorn and coke to accompany our hard earned night of entertainment and distraction. Someone yells “fire” and our reptilian brain leaps into action. But if there’s another reassuring voice saying the alarm was false and, since we can’t smell fire and no one else is scrambling to their feet, we relax deeper into our chairs. We’ve paid good money for our seats and we deserve a night off. Yet all it would take is the whiff of burning plastic and distant signs of rapid movement across the theatre and our urge to shift would be irresistible. Getting to the exit before death/injury by trampling or burning would instantly become our first priority. So in that sense I am grateful for our lousy Spring weather – even though I am thoroughly fed up with grey skies and have felt colder here in the UK in May than I did in December. 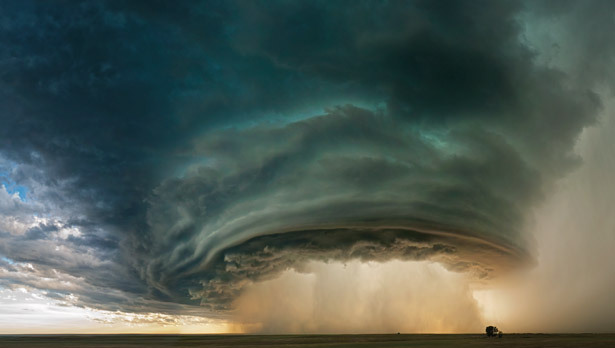 Extreme weather is nature’s kind way of arousing the reptile in us and perhaps it can do what armies of bickering scientists or retired politicians with slide decks and a huge budget have yet failed to do – wake us up to a reality no one wishes to contemplate. Research shows that the more we experience extreme weather events personally, the more likely we are to acknowledge that climate is changing faster than normal. Over the past 2 years I’ve been invited to speak at over 20 tourism gatherings and presented my share of slides and facts joining up the dots of change, interpreting the clouds gathering on the horizon and suggesting responses. (It’s all here on slideshare). But I now realize I have sold both my audience and myself short. The message wasn’t clear and compelling enough. The metaphorical “fire” in my story is actually frozen sunlight (carbon) – the fossilized remains of other species we’ve been burning to fuel the fastest most amazing economic and social expansion in human history. Carbon is not only the most dangerous, pervasive waste product of our “industrial civilisation” but, by focussing on the problems it generates, we could also solve many equally challenging but derivative problems: biodiversity loss, economic disparity, food security etc. We’ve got two worlds existing in tourism – the traditional mainstream that is preoccupied with business as usual (i.e., more of everything so long as that delivers more profit even if it delivers less value to the places it exploits). I don’t expect this group to like my message – yet. There are plenty of agencies and consultants all too willing to provide the platitudes and spin to make the status quo feel comfortable and, as illustrated in Abu Dhabi, even glittering and chic. They seem oblivious to the fact that the industrial model on which is it based inevitably passes its prime and starts to generate diminishing returns and less net benefit. The other world comprises a huge but fractured, sometimes fractious fringe that is growing and spreading like multiple infections that haven’t yet coalesced. By necessity, participants in alternative tourism are forced to focus on symptoms not causes of our malaise and because there are so many varied and increasing expressions of what is irresponsible, their efforts appear disjointed and only of local relevance. But the good news is that they are growing in number and their experience is highly practical, resourceful and their commitment to building a better tourism never to be underestimated or under valued. Their weakness, on the other hand, stems from the fact that they are too inward looking – applying labels, arguing over definitions and decrying the expression of a problem but not joining up with their counterparts in society who are addressing deeper causes and systemic disfunctionality. It’s as if we are arguing over the cut, make and style of the King’s clothes rather than admit he is, in fact, naked. The challenge facing us all transcends discussions about good versus bad tourism. Tourism – even in a better form – will not survive a failure to deal with the issue of carbon. Like junkies we are dependent and addicted. Drug cartels and drug pushers benefit from their trafficking when they are not caught. It’s a very profitable business that absorbs participation from all levels of society. Carbon pushers – the fossil fuel companies – are now are pulling our strings but are as addicted and at risk as the rest of us. 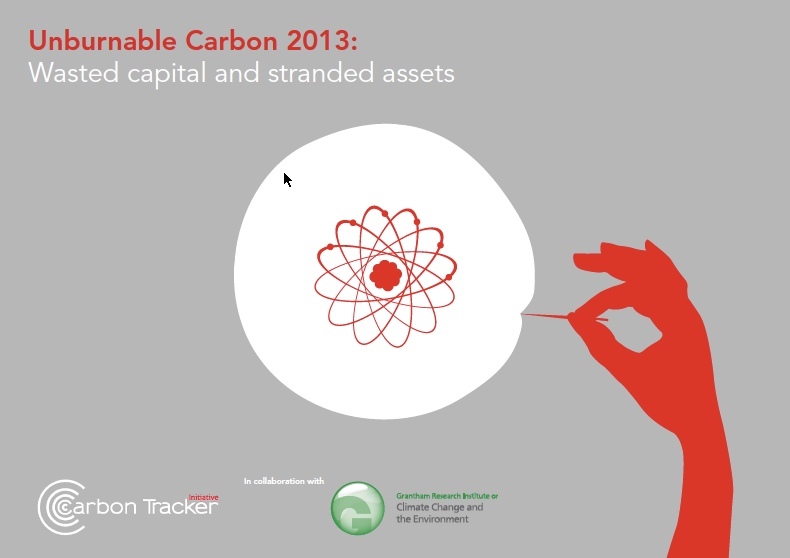 The real crisis of carbon is only just being recognized: $27 trillion in asset value can only be realized if that resource is burned. And, if it is – to quote the courageous head of the IMF, Yvonne Lagarde – we all fry. If it is not exploited, it becomes a “stranded asset” infinitely less attractive to investors than a dubious Credit Default Swap. The light is going on in the boardrooms of institutional investors, rating companies, and even in investment banks that fossil-based energy sources could pose a real and growing credit risk and if these fears are acted upon, it will cause the biggest market shift in human history. I feel confident predicting that the next really big topic of conversation will be the carbon bubble that has the potential to dwarf all previous bubbles that burst in recent history. Furthermore, it’s in tourism’s best interest to prick that bubble sooner rather than later to avoid financial meltdown that will seize up markets. Do you smell smoke? I can. It’s seeping out from the high rise offices of the financial community. Time to move. The exit is over here (see next post). It was a crap movie anyway! carbon, carbon bubble, climate change, irresponsible tourism, Responsible tourism, stranded asset. For as long as I have been working in tourism, I have heard its “leaders” (presumed by society to be the heads of global agencies or multinationals) complain of a lack of media attention and the failure of governments to take it seriously or to give its tourism ministers political clout. Based on the spate of headlines since mid April, it looks as if that situation is changing – but whether that is for the better or for the worse depends very much on your point of view. The first event to grab the headlines was WTTC’s 13th Annual Global Summit under an ironic theme “A Time For Leadership”. Ironic because that title implies leadership has been absent the past. Ironic because WTTC’s claim to be “The Authority of World Travel and Tourism” suggests that it’s the group that must take responsibility for any previous leadership vacuums. The BBC’s 6 minute, Fastrack program sensed as much and viewing it is worth the investment of your time. I can’t embed the video but click on this link and the image to view. b.) that tourism’s continued “growth” and sustainability are not mutually exclusive. 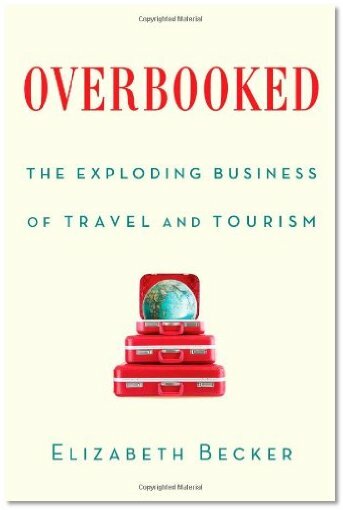 About five days later Tourism made headlines again with Simon and Schuster’s release of Elisabeth Becker’s opus, Overbooked in which this eminent journalist and editor “discovers” that tourism isn’t quite the frivolous, fun preoccupation that only gets mention in the travel pages of most media but, instead, a giant business sector, an industrial phenomenon and now the world’s largest employer. For the emerging middle class around the world, travel is a right of passage. Travel is the reward for hard work and proof that one has arrived. Yet with every right comes responsibility, and protecting the world’s beauties would seem obvious by demanding that the industry respect local culture, heritage and the environment. Sadly, Ms. Becker’s account of tourism’s dark side isn’t news to any of us – the members of the Facebook Group Irresponsible Tourism and RTNetworking are doing a great job of highlighting our internal challenges that cannot be ignored. What I did find interesting was her perplexity around the fact that tourism as an industry is subject to so little scrutiny. She could see that governments like the revenue, the investment and support for infrastructure and its provision of jobs etc. but there seems either some collective shame associated with this source of benefit or some form of innate snobbery – as if the glitteratti see no need to know what goes on below decks or behind the swing doors to the kitchen. Having read the book, I don’t feel Ms Becker ever gets to the bottom of that paradox. Is tourism the prodigal son that leaves home to make some remittance money for a family that would prefer not to delve into how that wealth was derived as they simply don’t want to stop the flow? So – Is it a Time of Leadership or a Time For Leadership? 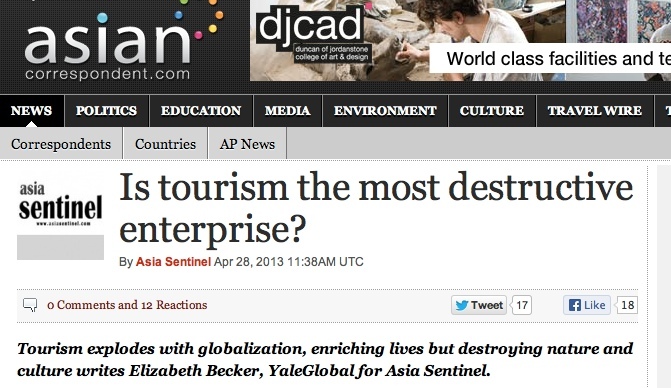 Answering this question addresses Becker’s initial query – why doesn’t tourism get the same attention as other sectors? I believe tourism will get the attention it deserves when it wakes up, grows up and steps up. Right now its dominant form – the “mass industrial model” is operating like an adolescent resisting any need to take responsibility for the whole. There is a paucity of Leadership and vision from the top – a situation not peculiar to tourism. All you seem to hear is a request for more favours, more concessions while at the same time expounding how well tourism is bouncing back and – now – potentially capable of saving the global economy no less! It is, on the other hand, a time FOR leadership – a time for hosts and host communities to ensure they attract the kind of tourism they want and that generates net benefit. It will be a different kind of leadership – emerging from ordinary citizens, community by community as is being shown by all those individuals pushing the responsible, sustainable, fair agenda forward. I most certainly am not anti tourism – conducted properly it can create a far greater value than has been realized to date. In fact, as has been shown throughout this web site; the issue is one of value and “wellth” generation. But I am disappointed with the self serving complacency, denial, arrogance and self-satisfaction of those who, despite all the resources at their disposal, continue to repeat hollow sounding platitudes and ignore the truth. Every other aspect of human endeavour – healthcare, education, retailing, food and energy production, capitalism, economics and politics is going through a radical re-think. It’s time tourism recognized the time for partying is over and it must come to the family table with constructive ideas as to how to face the issues affecting the community as a whole. I think that might have been what Taleb Rifai, Secretary General of the UNWTO was alluding to when he said in the BBC clip “ the more they (countries) become conscious of their responsibility, the more they can perfect their investment in what is right and good”. The real task then is to shift consciousness as in awareness, purpose and priorities. Without such a shift in mindset that determines what we value, then “tourism as usual” will grow in size and impact with diminishing to negative returns. That value shift will only take place community by community. It requires re-learning and that learning can best be done in community. Our aim with Conscious Travel is to accelerate that process of helping tourism hosts become the conscious change agents needed to envision and create a better, higher value form of tourism that enriches host communities, delights guests and provides a decent, sustainable yield to hosts. That’s what we need to grow but it will take a very different approach to that extolled in Abu Dhabi. Work is proceeding now on seeking allies and partners to develop and test the collaborative learning platform.